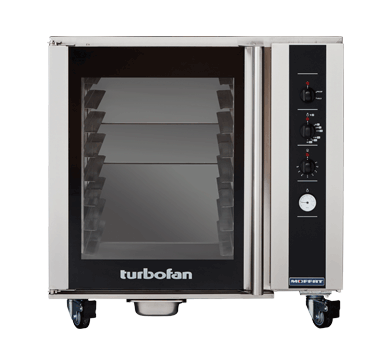 Dimensions W 35-7/8" x D 34-5/8" x H 36"
Redesigned to complement the new Turbofan E35 ovens, the P85M8 is a full-size electric prover and holding cabinet to complete our high performance baking centre. Clever, compact design accommodates 8 x 406mm x 736mm / 16” x 29” trays, or 8 x 457mm x 762mm / 18” x 30” trays with optional 18” rack set. Manual controller interface offers simple and efficient access to high performance power with a mechanical thermostat for time and temperature setting. 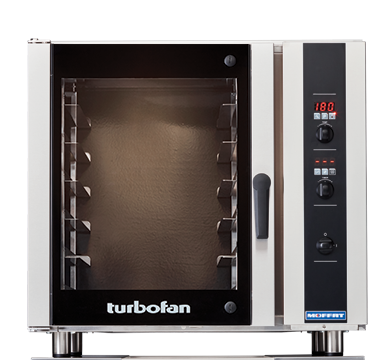 Stylish and durable on the outside, the P85-8 is full of innovation on the inside and delivers accurate proving of fresh and frozen dough. 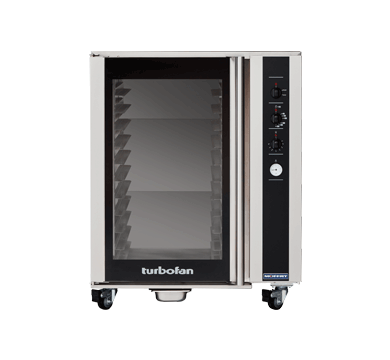 The P85-8 controls heat and humidity for accurate yeast activation and thermostat control for proving and hot holding mode.